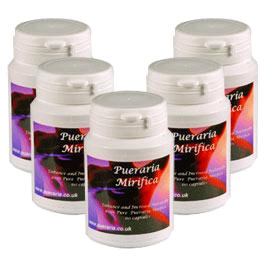 All our range of Pueraria Mirifica products are 100% pure organic Pueraria Mirifica and we offer a variety of Health & Beauty products to help you achieve the results you’re looking for. Find out more about our Pueraria Mirifica Creams, Sprays & Capsules below and if you would like any specific new products, or would like to discuss a monthly shipped package to your door, please feel free to get in touch and we will be more than happy to help. View our Product below and try Pueraria Mirifica today.